Tickets still available for SFA's presentation of Step Afrika! 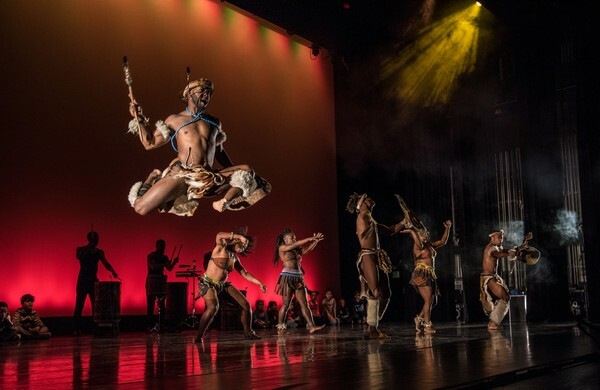 NACOGDOCHES, Texas - Tickets are still available for the high-energy performance of Step Afrika! at 7:30 p.m. Friday, Jan. 25, in W.M. Turner Auditorium on the Stephen F. Austin State University campus. Sponsored by Nacogdoches Medical Center Health Network, Step Afrika! is presented by the SFA College of Fine Arts in partnership with the Nacogdoches Alumnae Chapter of Delta Sigma Theta Sorority, Inc. and in cooperation with SFA's Office of Multicultural Affairs and Greek Life Office. Single ticket prices for this University Series event are $25 for adults, $20 for seniors and $10 for non-SFA students/youth. Tickets for SFA students are $3. For more information or to purchase tickets, visit finearts.sfasu.edu, stop by the Fine Arts Box Office in Room 211 of the Griffith Fine Arts Building, or call (936) 468-6407 or (888) 240-ARTS.